My sister Carrie just texted me with a photo of my niece wearing a pair of jeans I had given her just this last weekend from an assignment in my surface design class. We were assigned to distress a pair and add embellishments. 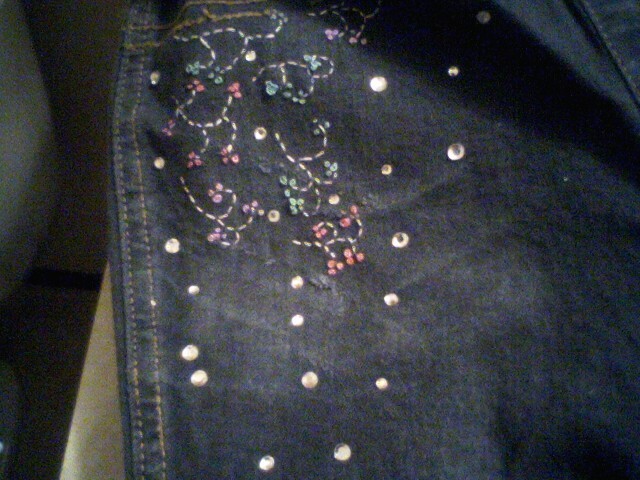 I didn't see myself wearing a pair of jeans with sparkle and so forth so I thought this would be the perfect time to make a little something for my darling niece. They were rather enjoyable to make since I could go all out for her. 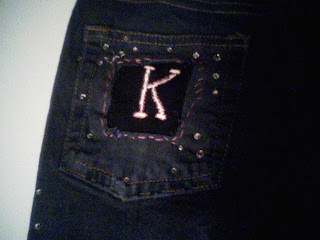 They are very sparkly and covered in embroidery. 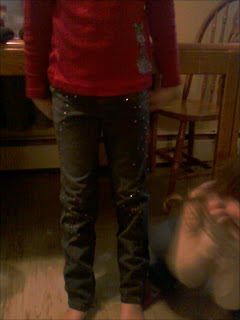 In the end she liked them and Carrie said she's going to wear them to school tomorrow and tell everyone that no one else has a pair like hers. True! 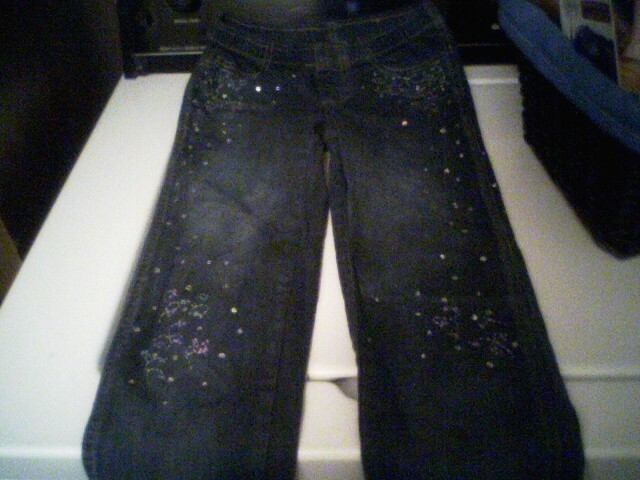 Sorry for the bad photos, these are from cell phone cameras. Just to personalize them a bit more for her I put her initial. That's brilliant! How fun for her!